Andy Murray’s injuries stem from the excess loads on his joints from a career as a professional tennis player. Tennis superstar and British number one Andy Murray has announced his planned retirement from the sport later this year due to severe pain in his hip, the result of repeated injuries. 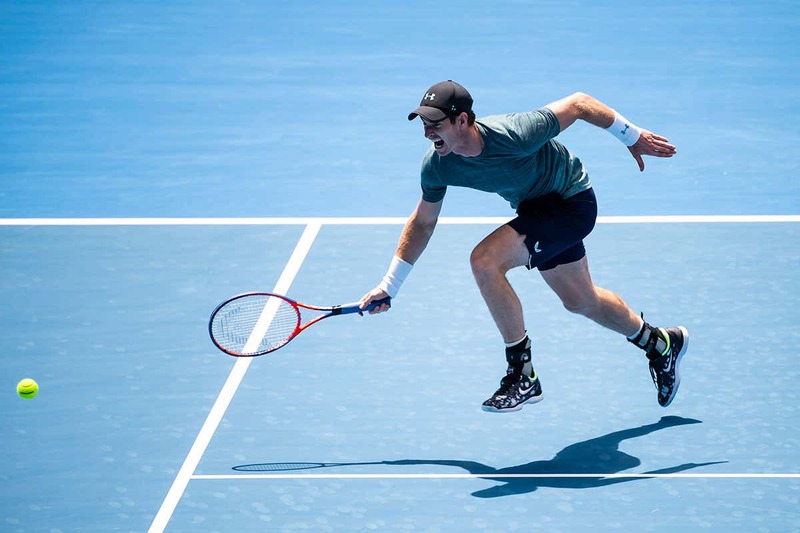 While Murray and his colleagues have been coy about the exact injury he’s been struggling with, professional athletes face two typical hip problems, says Martin Hägglund, who studies physiotherapy at Linköping University in Sweden. Femoroacetabular impingement (FAI) syndrome causes inflammation at the top of the thigh bone where it meets the pelvis, or the bottom of the pelvis where it rubs alongside the thigh bone. “This bone inflammation can cause an impingement when you try to flex or bend the leg,” says Hagglund. FAI can be exacerbated by putting excess loads on joints during teenage growth spurts, as Murray, who has been playing tennis at a high level since a young age, is likely to have done, says Ash James, a sports physiotherapist at Manchester Metropolitan University, UK. Such impingements often take the form of bony bumps where joints meet. Surgery can remove the bone mass that is causing trouble. But playing at the highest level of sport isn’t conducive to keeping hips in tip-top shape, nor to maintaining cartilage. “It’s like the brake linings of your car or your clutch plate. If you rag it too hard, it wears out earlier,” says Adam Hoad-Reddick, a hip and knee orthopaedic surgeon at BMI The Alexandra Hospital in Cheadle, UK. “Impingement surgery is only good if there isn’t too much chondral damage.” Rehabilitation from it can also be troublesome. Murray himself said yesterday that current surgical interventions haven’t been sufficient, and that he is debating having an additional operation – hip resurfacing. “For him to consider resurfacing, it’d suggest that he has quite severe osteoarthritis,” says Winston Kim, a consultant orthopaedic surgeon at Manchester Hip and Knee Clinic. Resurfacing is a lighter-touch approach than a whole hip replacement, where both the top of the thighbone and the socket into which it sits are replaced with artificial versions. Instead, in an attempt to worsen the wear on the bone at the top of the thigh, the femur is smoothed down and covered with a metal cap, while a layer of metal is placed within the pelvic socket in which it sits. The player himself admitted that “the reason for having an operation like that is not to play professional sport, it’s to have a better quality of life”. And as Hoad-Reddick says, hip resurfacing is still a major surgery. But for someone with such significant damage – and seemingly in such pain – as Murray, there are few other options. Kim says there are some alternatives, although none is perfect. Arthritic hips lack chondral cartilage, which doesn’t regenerate. Microfracture – the process of drilling into a defect and hoping it bleeds and forms scar cartilage – doesn’t create hyaline cartilage: the high-collagen protein that holds our body together. Some researchers are trying to regenerate hyaline cartilage using stem cell treatment, although it is still in laboratory testing. “Right now, once a hip has become significantly degenerate, there’s no real treatment other than replacement,” says Hoad-Reddick. Next articleWhat are the risks of dying from having the yellow fever vaccine?